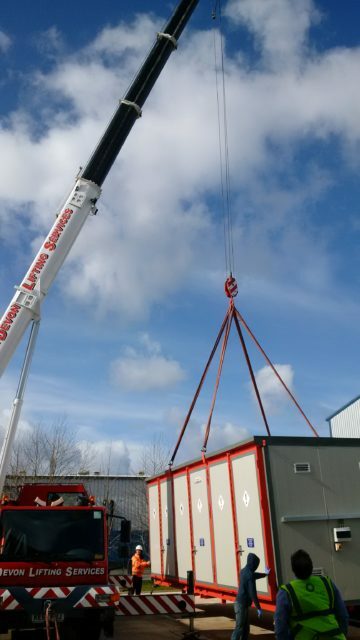 24x1000L IBC’s, on 2 levels with a ‘live racking mechanism’ throughout. 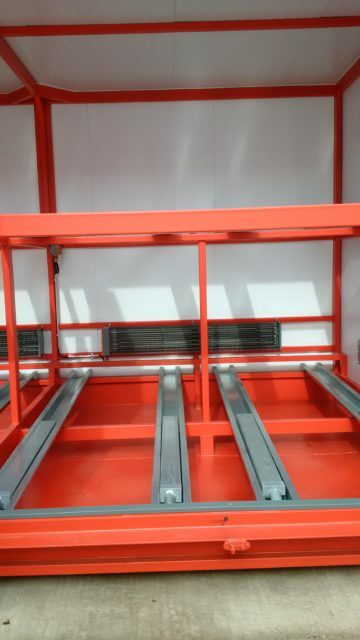 Allows forktruck access to all pallets from the front of the store. 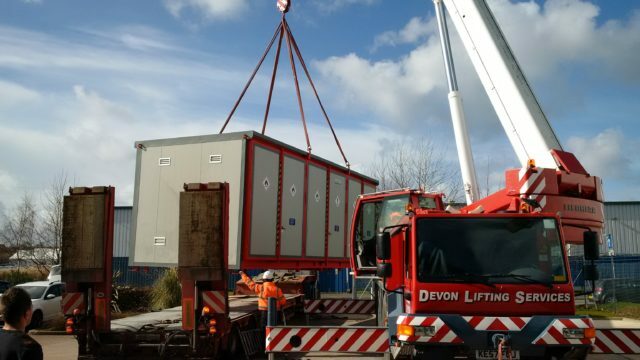 (To suit positioning preference on site) 1000 x 1200 pallets or IBC’s on the 1200mm side must be used. 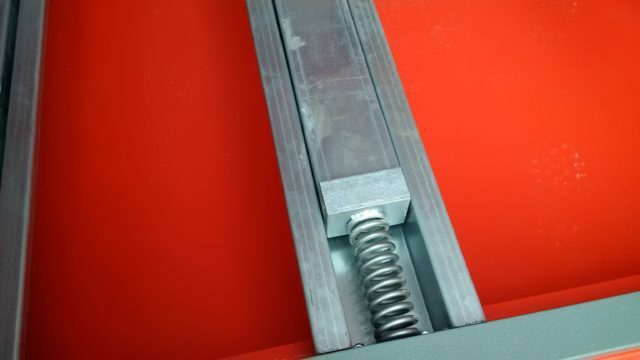 Loading mechanism is suitable for simultaneous CP3 pallet and IBC storage. 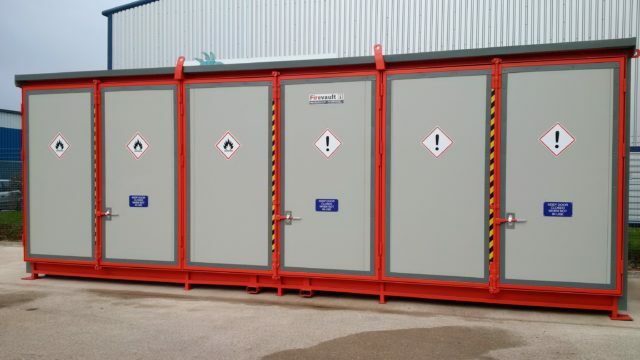 “Chemstore worked with our client Forgeway Ltd. to identify and carry out a site risk analysis of their storage equipment and handling methods for their highly flammable liquids. The Chemstore Engineer, Mike Brodie, was able to understand the client’s requirements and identify their immediate high risk activities. 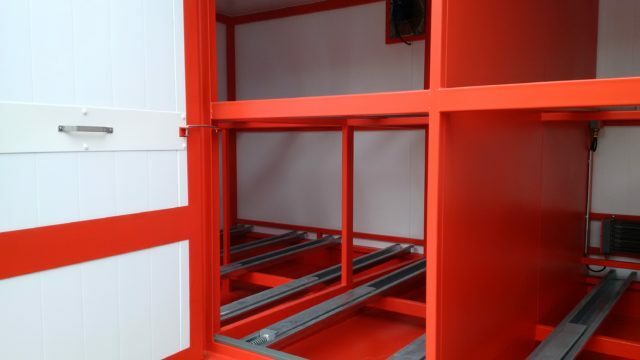 Chemstore then specified and designed a bespoke, fire rated storage solution for the hazardous materials.